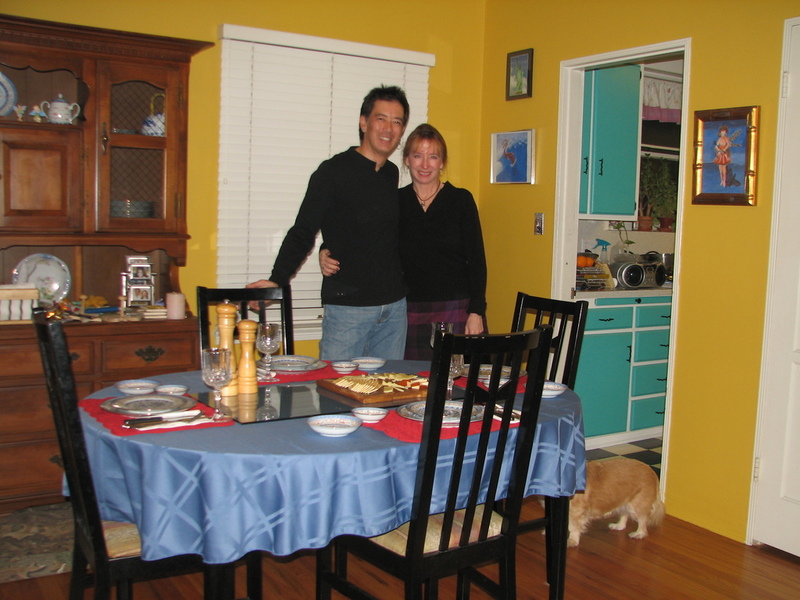 Tonight Susan and I hosted our first dinner party for some friends. It was fun to cook a fancy meal and break out the nice dishes and all that. We made a marinated beef rib roast, snow white potatoes au gratin, brussels sprouts, and I made some homemade rosemary dinner rolls.